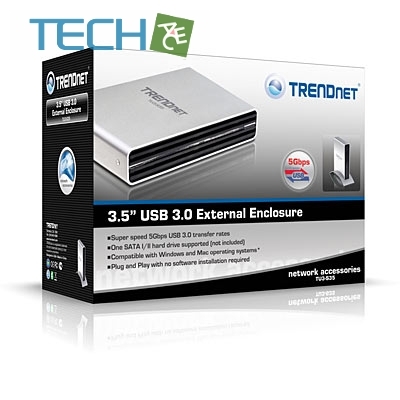 The 3.5” USB 3.0 External Enclosure, model TU3-S35, supports one 3.5” SATA I or II hard disk drive with storage capacities in excess of 1 Terabyte (hard drive sold separately). 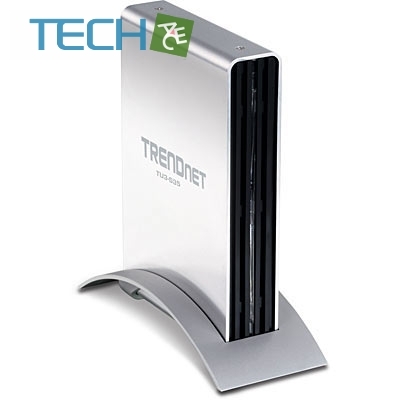 Store and transfer content at 5Gbps USB 3.0 speeds—10 times faster than USB 2.0. 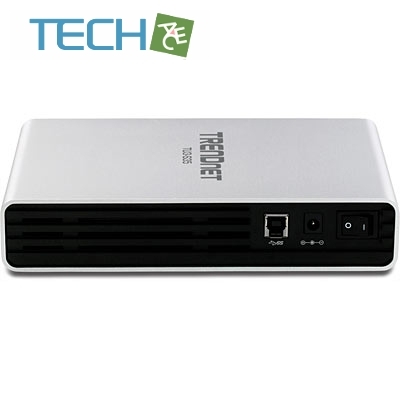 Install a SATA I or II hard drive and connect the enclosure to a 5Gbps USB 3.0 port on your computer. USB 3.0 is backward compatible with USB 2.0 ports. Large cooling vents and an aluminum housing cool the enclosed hard drive. An included mounting stand saves precious desk space. 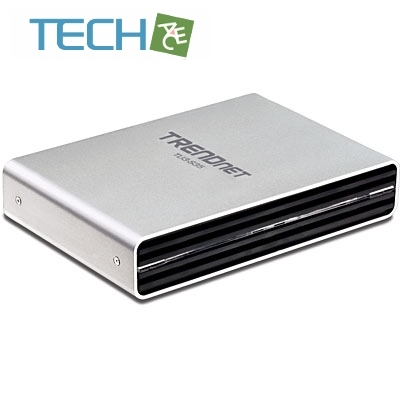 Save time by transferring large files at breakthrough 5Gbps USB 3.0 speeds. *Data is transferred over USB 3.0 connections at up to 5Gbps. However actual data throughput may be significantly affected by choice of hard drive, computer system architecture, CPU loading, and other factors.